Home / Tax aspects of owing property in France or What is a real value of your French villa? 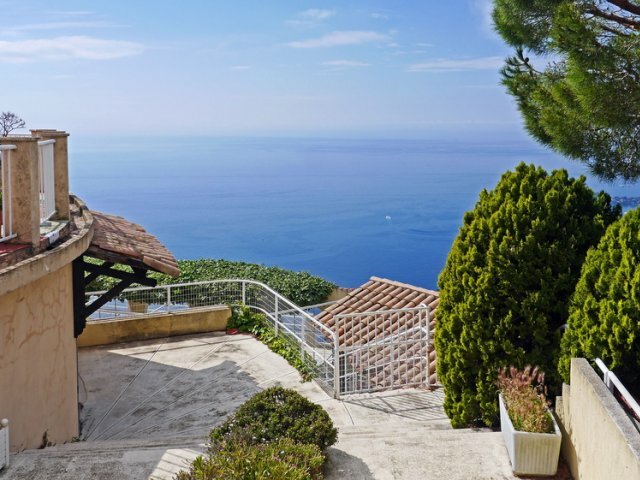 Tax aspects of owing property in France or What is a real value of your French villa? In our article on recent revolutionary changes in tax law of France that will influence foreign owners of property we called France a “high-tax country". To make things even more complicated, the French tax code is very complex, and some kinds of taxes exist only in France. In this article we will review in detail “tax luggage” that investor gets in addition to real estate in this European country. This tax ("taxe foncière") must be paid for the land plot every year. It is based on the so-called "cadastral rental value" ("valeur locative"), which is calculated by a complicated formula for each individual property. This formula takes into account measurable parameters like size of the plot, and size and age of the house, but also sentimental values like location and "comfort" or extras like a swimming-pool. The idea is that the rental value should be proportional to the annual rental income, which might be earned if the property would be put on lease. The tax must be paid by the person or legal entity, who is the owner of the property according to the land register. Unfortunately, there is no way to avoid this tax, as it is connected to the property's cadastral registration. The "residence tax" ("taxe d’habitation") is a typical invention of the French tax system. Such a tax does not exist in any other Central European jurisdiction. It is simply an additional source of income for the state. The residence tax is due, if there is a building on the land plot, which is suitable for "residential purposes". Under French law, this might even be a garage or a garden house, as long as there is some furniture inside. The residence tax is calculated in a similar way like the real-estate property tax, but the effective tax amount is lower (approx. 50 - 60% of the real-estate property tax). Also here, each municipality sets its own tax rates. The residence tax must be paid by the natural person, who uses the property for residence purposes, and not by the landlord, who owns the property. If resident and landlord are identical, then this person must pay both property tax and residence tax! Tax exemptions from the residence tax are only possible for very poor elderly persons or tenants without own income, like students. It shall be noted that this tax is very unpopular in France. Currently, there are discussions inside the French government to reduce or even abolish the residence tax in 2018. In France, a natural person must pay wealth tax ("Impôt de solidarité sur la fortune"; ISF), if the combined value of all of his/her assets located in France is more than 1,3 Mio. EUR. For foreigners with a primary tax residence outside of France, mainly the value of real-estates will be considered for ISF tax. ISF tax will be due, no matter whether the property is owned directly or through an SCI holding structure. Only the method of calculation is different. Laws called «Project de Loi de Finances 2018» by French government cancelled wealth tax. However, only residents of France will get real advantage in this situation. To compensate for this, wealth tax only for residential (intended for residency) real estate («Impôt sur la fortune immobilière») was introduced. Calculation model and tax rates for this new tax will be the same as for old ISF tax. French residents that use property as the main place of residency will get good tax benefits. For foreigners using the property for second residency or as holiday residency there will be not tax allowances. ISF calculation rules are complicated and based on a progressive tax rate, which starts at 0,5% and ends at 1,5% for total assets of 10 Mio. EUR or more. 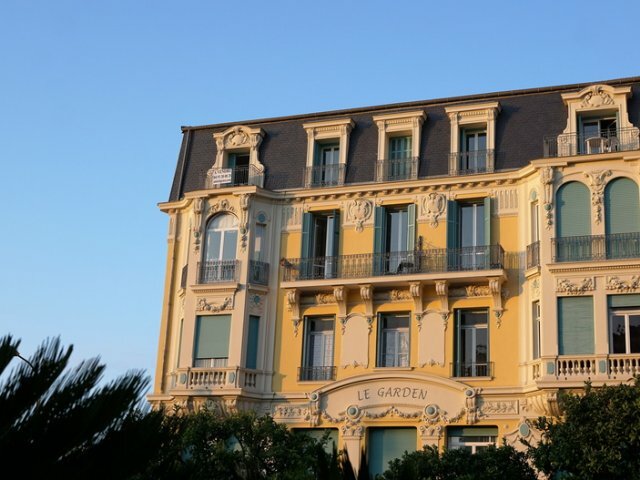 If a real-estate property is owned by a natural person directly, the ISF tax is calculated according to the so-called "fair market value" ("valeur vénale réelle"). The fair market value is the sales price, which the owner could reasonably expect, if he/she decided to sell the property today. It must not to be confused with the initial purchase price, which the owner paid when buying the property many years ago. In a well-developed real-estate market, like the French Côte d'Azur, real-estate prices generally rise on the long term. The result is, that the ISF amount due will also rise from year to year, simply because of the increase of the (largely theoretical) fair market value. The problem is that there are no clear rules how to calculate this fair market value. Real-estate is sold by individual transactions on case-by-case prices, not at a regulated market like a stock exchange with fixed quotations. This is especially true for luxury assets like large villas, where the market is limited and only a few transactions take place every year. So the fair market value is often based on a best guess only, and leads to many conflicts and discussions between the owner and the tax authorities. In case that the property belongs to a SCI ("Société Civile Immobilière") legal entity, things are slightly different. A SCI is a non-incorporated firm, where all shareholdes must be natural persons (min. 2 persons), and its sole purpose is to hold real-estate property. Again, this legal entity is a French specialty. One of the main advantages of a SCI is to avoid heritage tax payments (which can be extremely high in France; we'll see later) in case of succession inside a family. But this works only for properties below 1-1,5 Mio. EUR. For non-resident foreigners, the SCI may also be used as a vehicle to save ISF tax. The standard set-up of a SCI is the tax-transparent model. Tax-transparent means that all profits and all wealth tax are calculated not at the company level, but at the individual shareholders. The "fair market value" ("valeur vénale réelle") is not based on the value of the property itself, but on the value of the SCI shares, which are accountable to the shareholder. This share value is calculated for a SCI (as for any other company) based on a balance sheet, which compares the assets (i.e. the value of the real-estate) versus the liabilities, which might be any mortgages put on the property. It is common practice, that wealthy owners have used mortgages, which were given by them or third-parties to the SCI, as a tool to reduce the ISF payload to almost zero. This mortgage scheme is well known to French tax authorities. Because of this, the tax laws for the SCI were changed in 2012 in such a way that shareholder loans, which non-resident foreign shareholders give to a SCI, are no longer deductible as liabilities in the balance sheet (French tax code CGI Art.885 T ter of 29/07/2011). The law explicitly states that also loans, which are given indirectly by intermediaries like banks or holding companies to the SCI, and backed by personal financial assets of the shareholder, will be regarded as non-deductible shareholder loans. Although this scheme was illegal in 2012 already, it will be completely impossible to use according to new law that we described in our recent article. Till this year even if French tax authorities suspected that loan was not real and existed to reduce taxes only, however, they had to prove it. In many case, it was impossible and trick worked. According to new rules, loan will be considered as non-deductible by formal reasons and tax inspectors will just deny wealth tax declaration. Real estate property tax, residence tax and wealth tax is not the full list of taxes applied to real estate in France. To get a full picture, please, read our next article on this topic. For more information on this issue you can click “Ask the expert” button below.